1910 E Palm Avenue Tampa, FL. | MLS# T3142524 | Tampa Residential Real Estate Sales and Property Management. Our office is centrally located in Ybor City. Price Reduction!! !Second Floor, One Bedroom Condo w/ Gorgeous Pool View! This condo is light and bright and features hardwood floors, granite counter-tops in kitchen and bath, french doors and a convenient storage closet on the balcony. 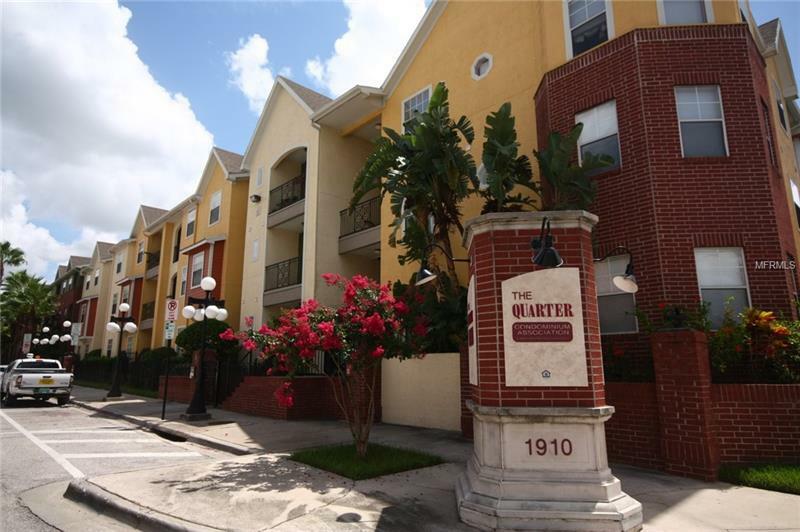 The Quarter at Ybor offers a historical location with an urban feel. Just steps outside your door is everything Ybor City has to offer from entertainment to dining. The community is equipped with 2 swimming pools, a large fitness center and covered/gated parking! Condo comes with one parking space. Call today for a tour!